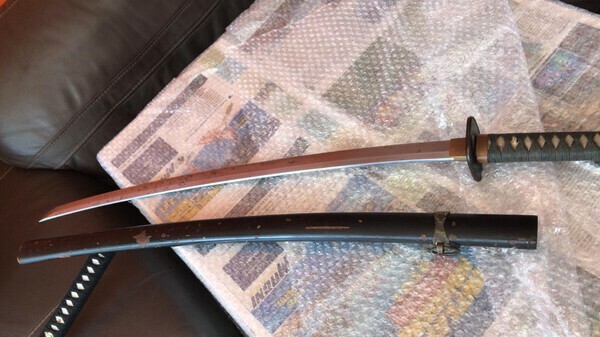 This sword does not seem to have gunto koshirae; however, it does bear the seki mark. 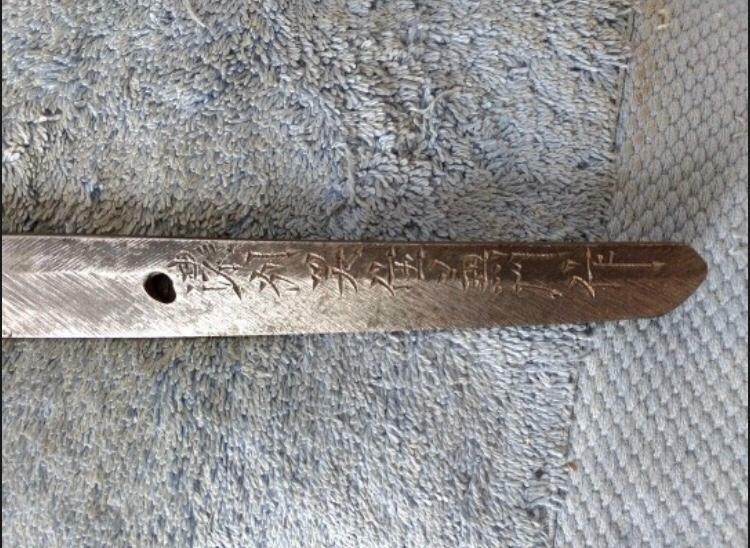 I will appreciate your help with the signature, I would like to lookup the swordsmith if possible. Will also appreciate any opinions and feedback you wish to share. I think this is your smith. At least this is certainly signed by Kanekado. I can't read those middle characters, but I am quite sure they do NOT say Mino ju. I think the third one is a very stylized form of 関, while the fourth one is 住. For all, thank you so much for your guidance! 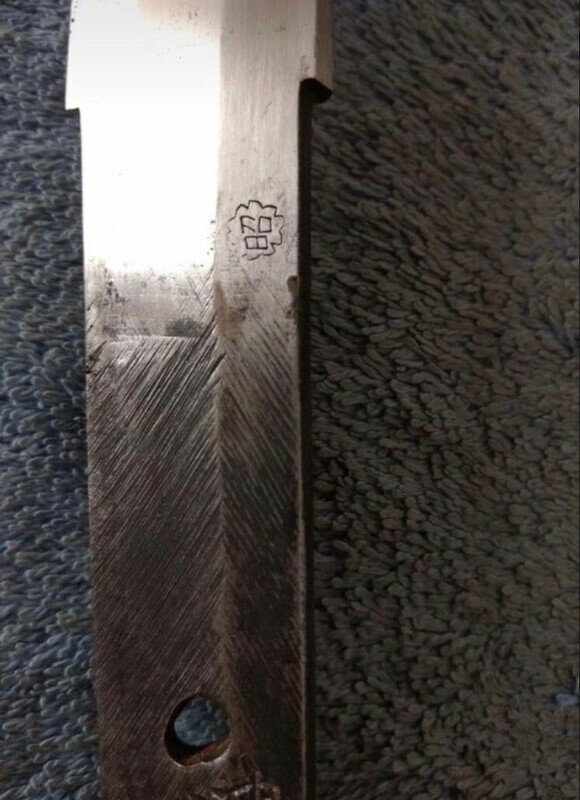 Just an FYI: the stamp is a "Showa" stamp. Used between mid '40 to early '42, so if the other side isn't dated that will give you a ballpark.